Coming to Montana in 1981 from the wet, humid South, I thought little of irrigation as a moving force in history. To my mind, irrigation was about sprinklers keeping suburban lawns nice and green in the summer. I cared little for that, and thought no more about it. 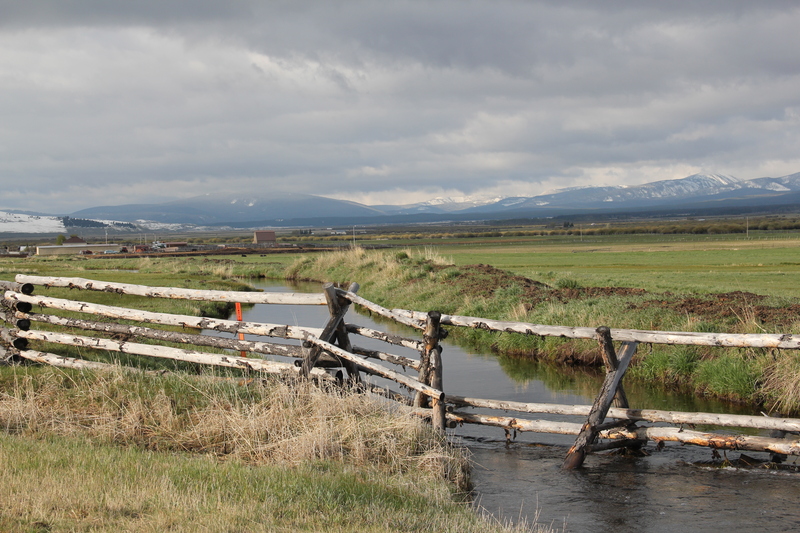 Realizing that irrigation had shaped the history of the United States was another of those primary contributions living and working in Montana brought to my understanding of history. In the 1984-85 historic preservation survey of the state, I noted a few key systems and thought about their significance. 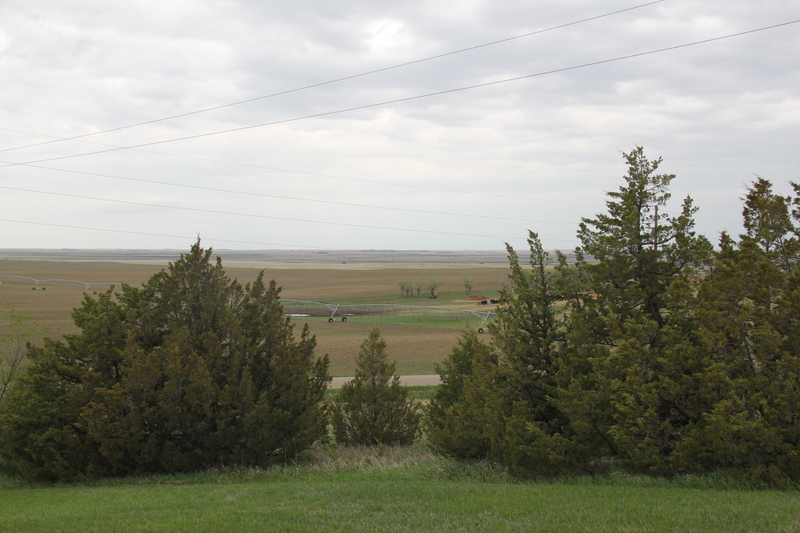 But in the time since, I came to understand irrigation as one of the key components of an engineered landscape, that literally reshaped the state and made towns, cities, and ranches possible in the early 20th century. Early Montana settlers, especially the pioneering irrigator I.D. O’Donnell of Billings, understood by the turn of the century that there would never be enough water to make Montana an agricultural paradise. Men could not conquer nature–but they could build a machine that could harness it, even replace it. 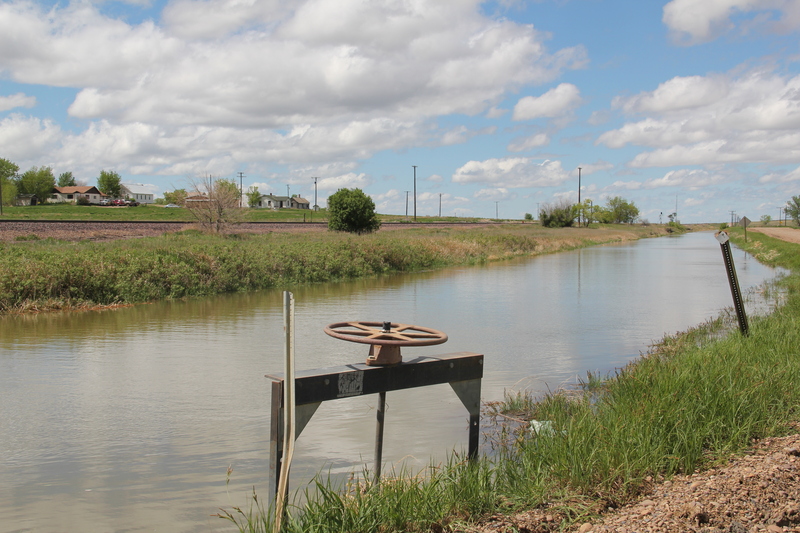 This irrigation effort in Valier took advantage of the 1894 Carey Act. 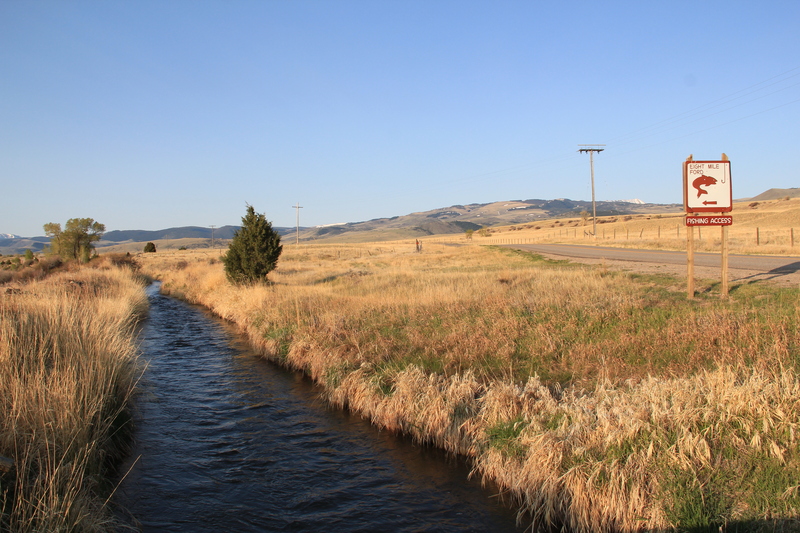 So with the financial assistance of the federal government, first with the Carey Act of 1894 and then the vastly more important Newlands Reclamation Act of 1902, the transformation of Montana through irrigation took place in the first third of the 20th century. 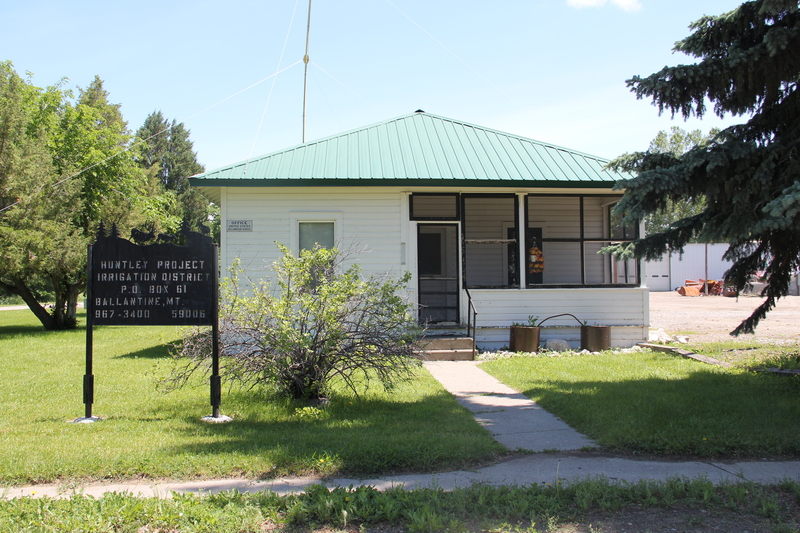 The U.S. Reclamation Service Office at Ballatine, Yellowstone County. Championed by I.D. O’Donnell, the Huntley project was the second USRS project in the nation. The engineered landscape represented by irrigation is everywhere in Montana. I will pick up this theme in later postings but end today with another image that evokes the impact, even beauty, of the man-made streams that crisscross the state. 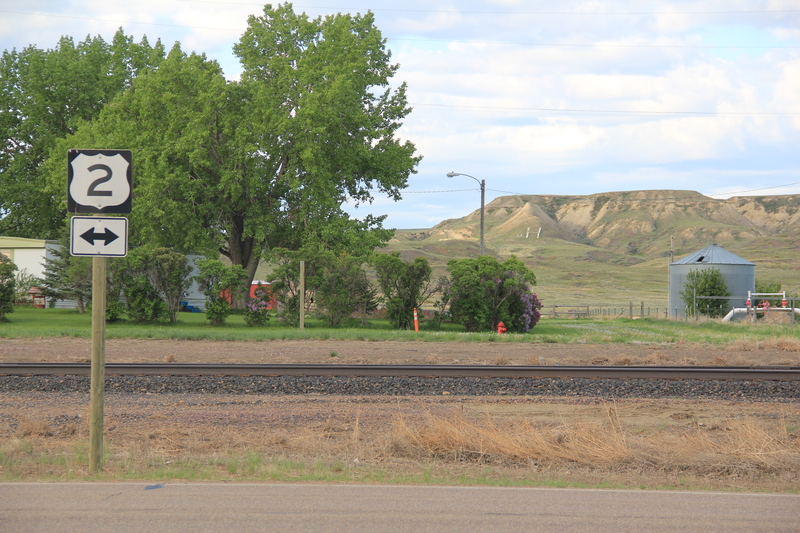 U.S. Highway 2 originally closely followed the tracks of the Great Northern Railway as it crossed Montana’s high plains counties. 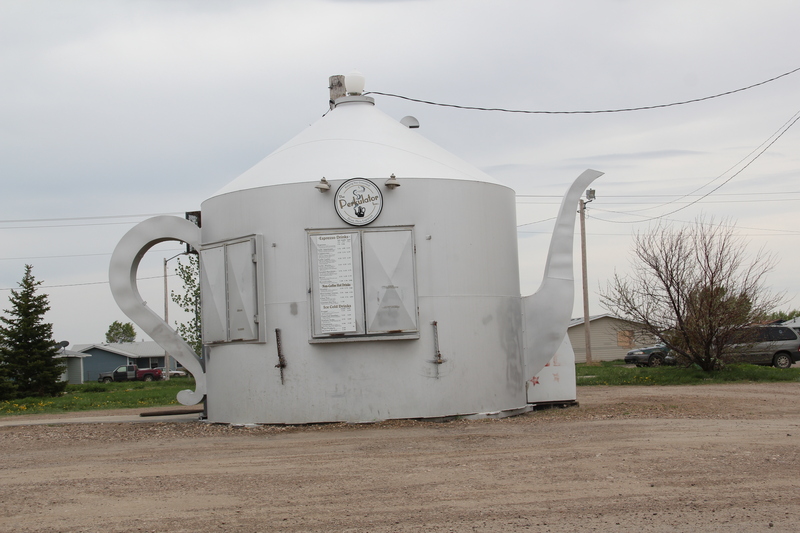 Today there are places where the modern highway and the railroad tracks diverge, but still you can travel most of the route from Bainville to Glacier and still discover an astounding array of roadside architecture, from the early 20th century to the more recent past, such as the coffee pot above, on the south side of U.S. 2 in Poplar. This week begins the holiday traveling season. 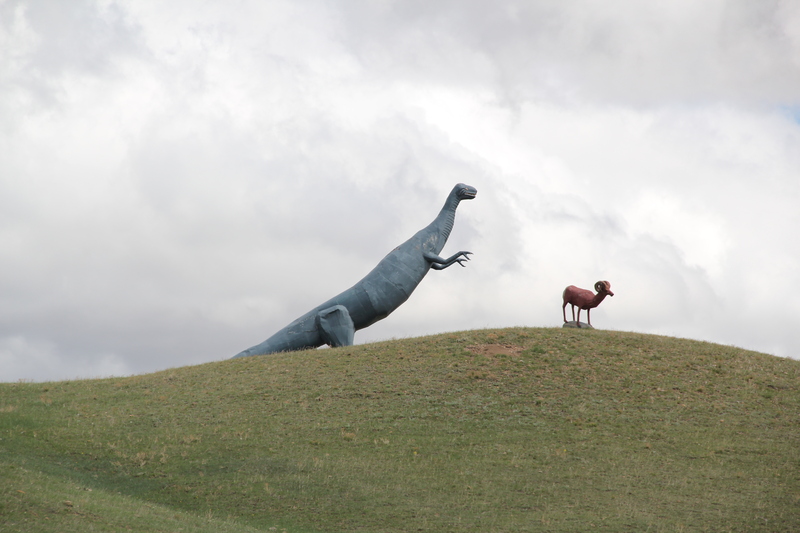 With that in mind, I offer up a range of roadside images from the Hi-Line–places that you may roar by in a hurry to arrive at your destination but places nonetheless worth a stop and visit. 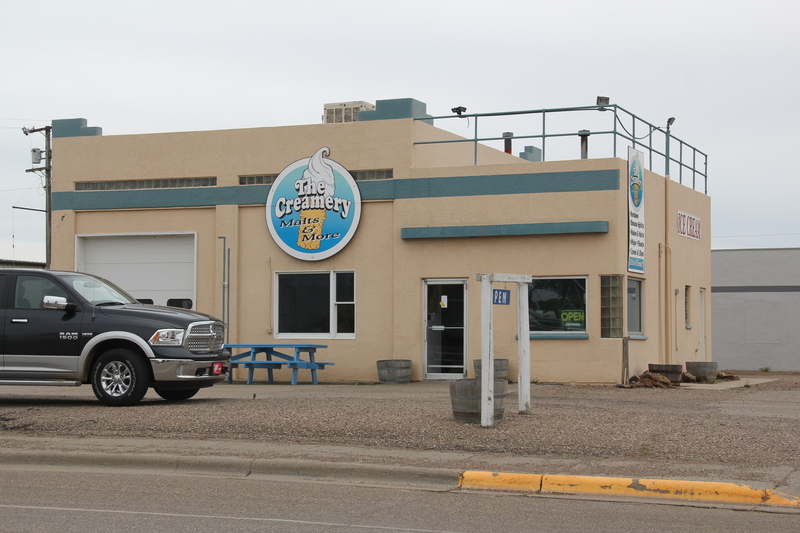 Gas stations of course are a constant, and some may be well kept as an artifact of their function–service stations such as this one on the left in Liberty County–or they may be transformed into ice cream parlors like the station on the right from Chinook. 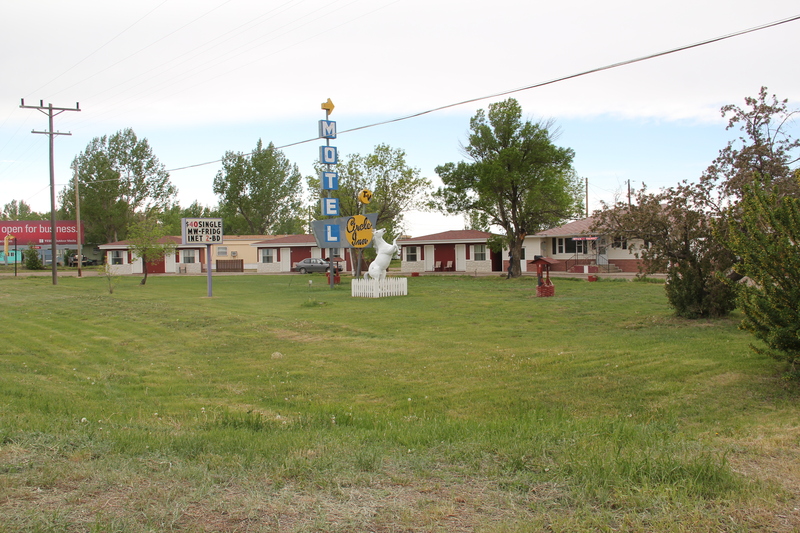 Motels are everywhere too–but the “mom and pop” businesses of the first 2/3 of the twentieth century have been rapidly replaced by the major chains, from Super 8 to the Hilton and Marriott properties of recent vintage. 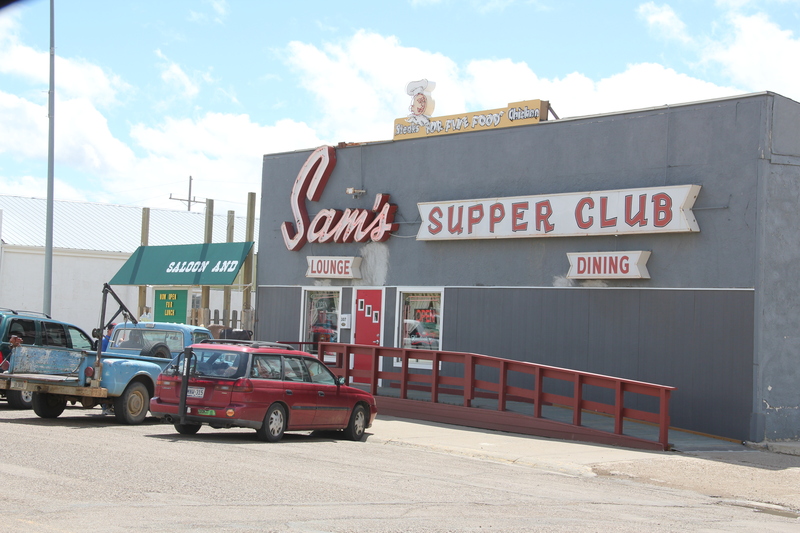 This classic from just outside of Havre is a throwback to roadside lodging of a generation or two ago. painted sign, courtesy of the Matthew Hansen Endowment, remands everyone of community vitality even though surface appearances may suggest otherwise. 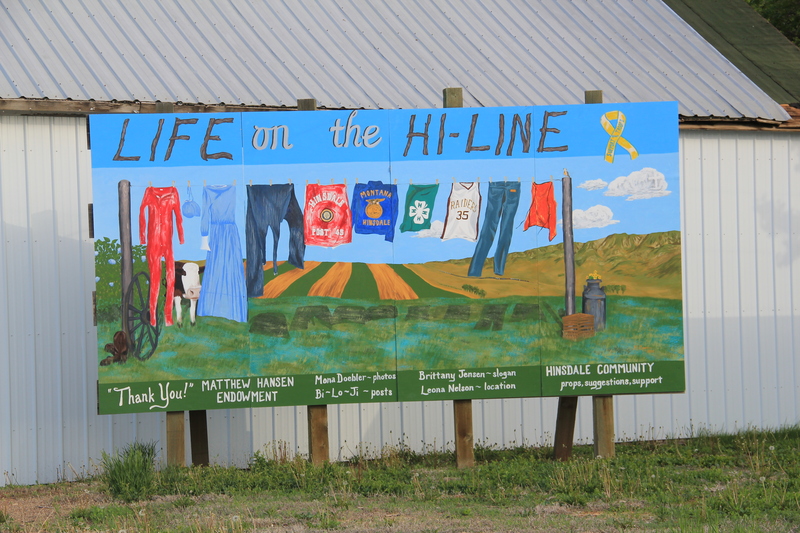 The second sign is among the state’s most popular–painted rocks in white that outline the first letter of the town–positioned so that travelers and residents can view it. 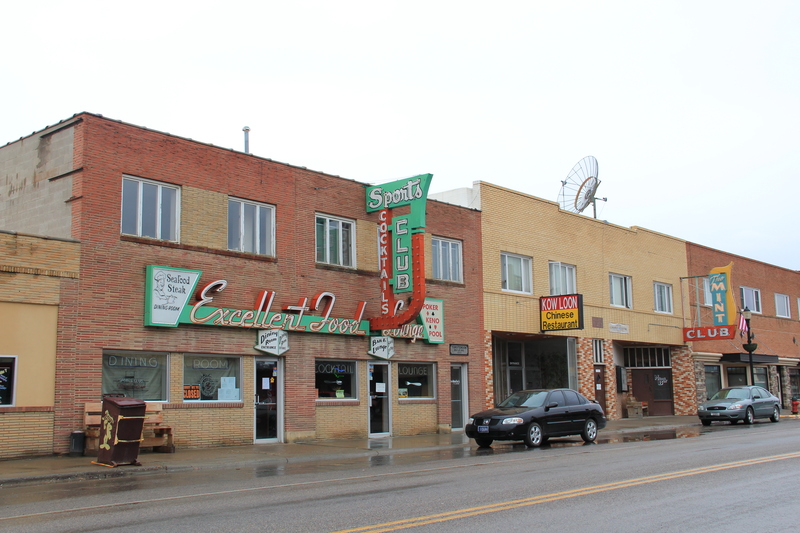 and the line of bar signs in the middle of Shelby remind us that once travelers were enticed to stop and jump into another world of flash and class behind the neon signs of U.S. 2. 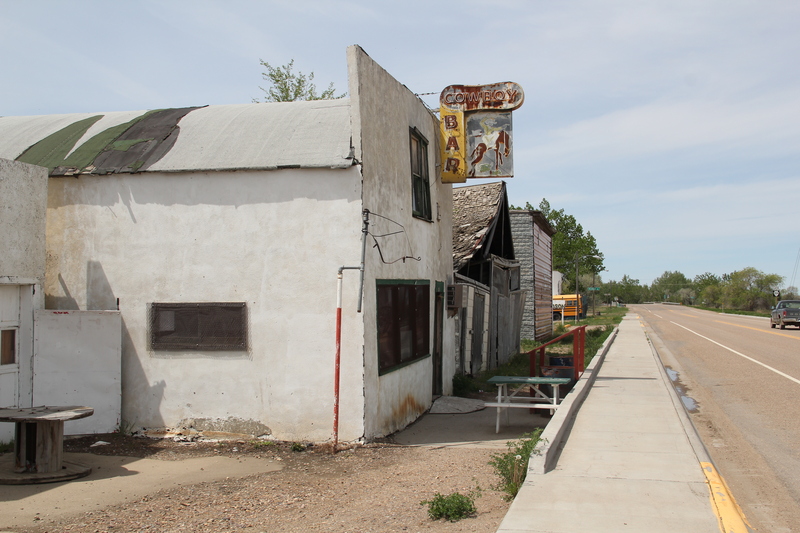 The roadside of U.S. is nothing if not varied, and I can spin many more words and images about the compelling and the mundane along the roadside. 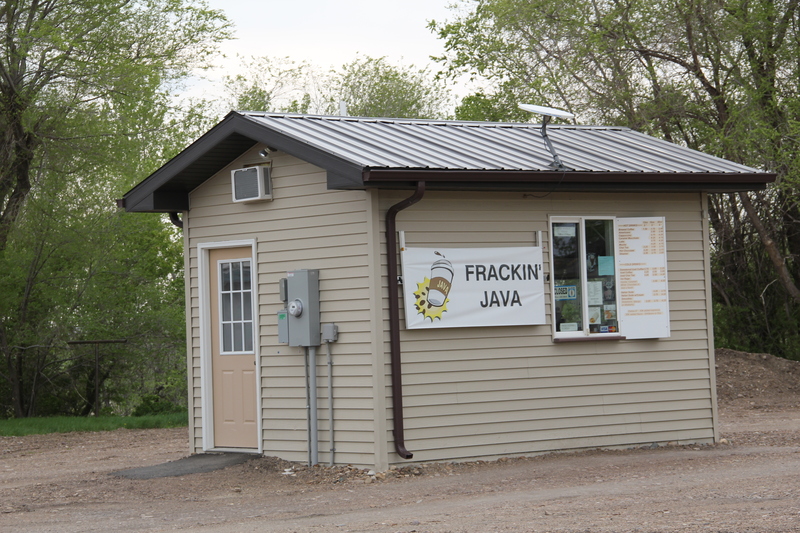 We do keep up with the trends, and try out best to merge the roadside with current events, as this coffee stand in Culbertson proves. But I will close with this image from Dodson as a reminder that the roadside can be fleeting, and a place that I enjoyed in 1984 is falling apart today as everyone gravitates to the standardized chain-experiences that define our time. 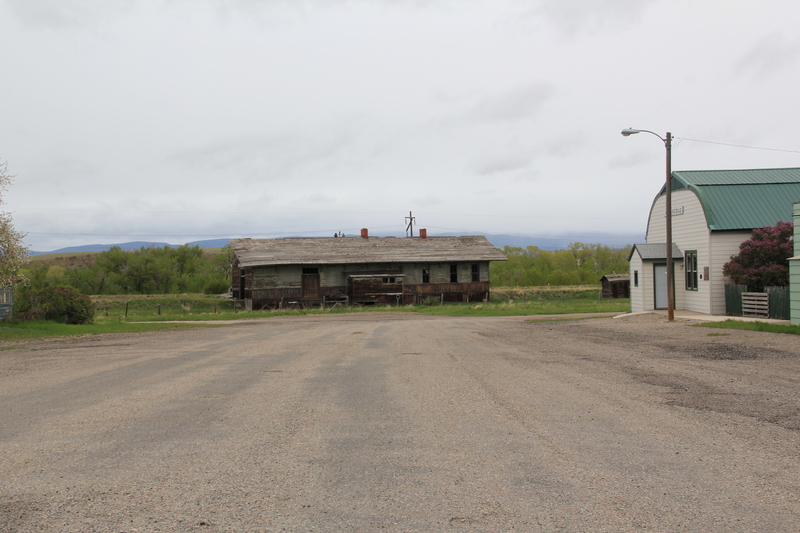 Martinsdale is a tiny town in Meagher County, just off U.S. Highway 12. 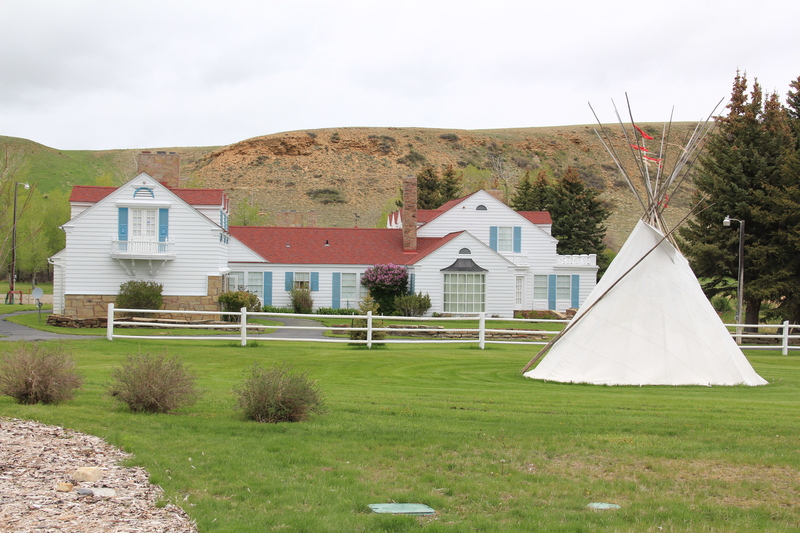 Many travelers have stopped by the historic Bair Family Ranch, the former private estate of stockman Charles Bair and his daughters, which is now a historic site and museum. 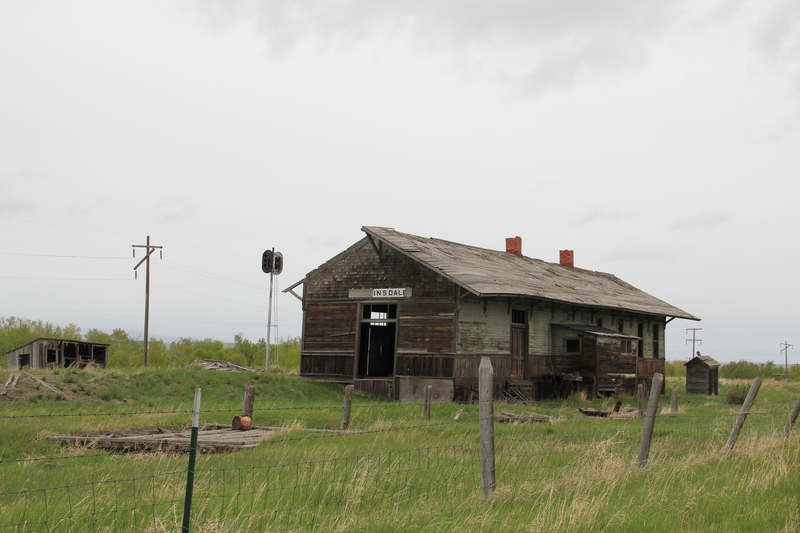 But 30 years ago, the building that most captured my attention in Martinsdale was the recently abandoned combination passenger station and freight depot of the Chicago, Milwaukee, St. Paul, and Pacific Railroad, better known as the Milwaukee Road. Why did such a nondescript building interest me? Built in the first decade of the 20th century, the depot represented the increasing standardization of design across what was once a vernacular landscape. 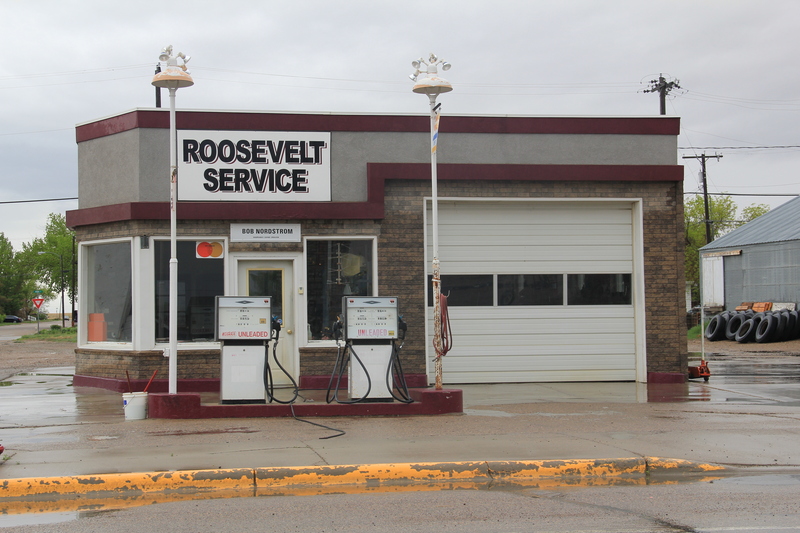 The company constructed a full set of this combination stations across the state, but by 1984 only a handful remained. 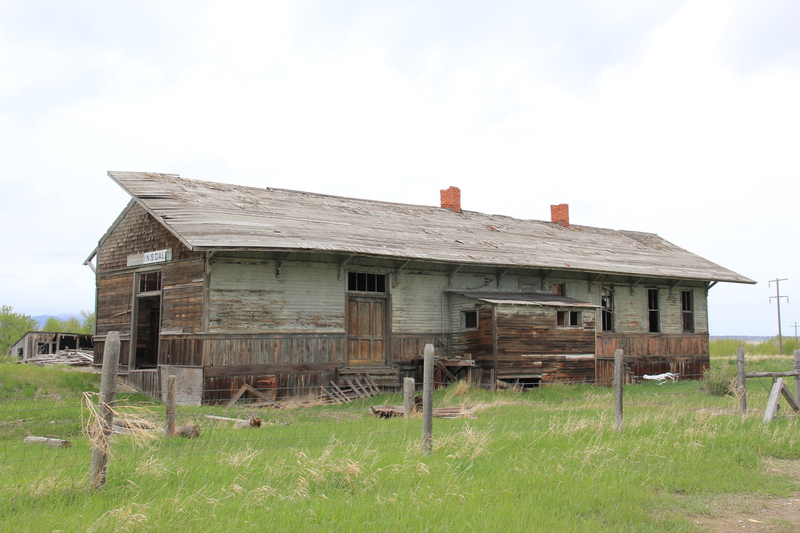 At Martinsdale not only was the building there; it was in good shape, and even had its privy–also a standardized design–standing just east of the depot.Then there was the matter of where the depot stood. The building is no longer in good shape, with part of the roof decking missing just being the most obvious issue. 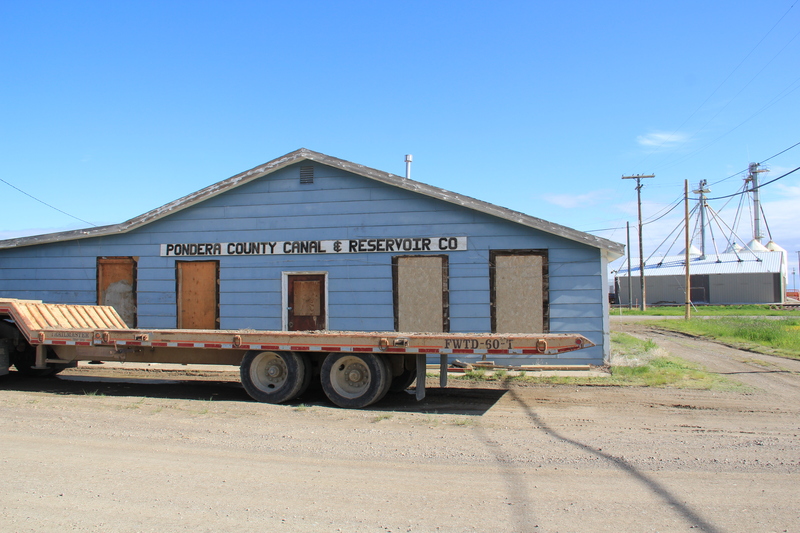 Thirty years ago, the assessment of this depot was a centerpiece of my “Resource Protection Planning Process” document for the State Historic Preservation Office at the Montana Historical Society. The depot spoke to so many of the trends of that plan–design, history, settlement patterns, community planning. Now you wonder if the building will survive another year. 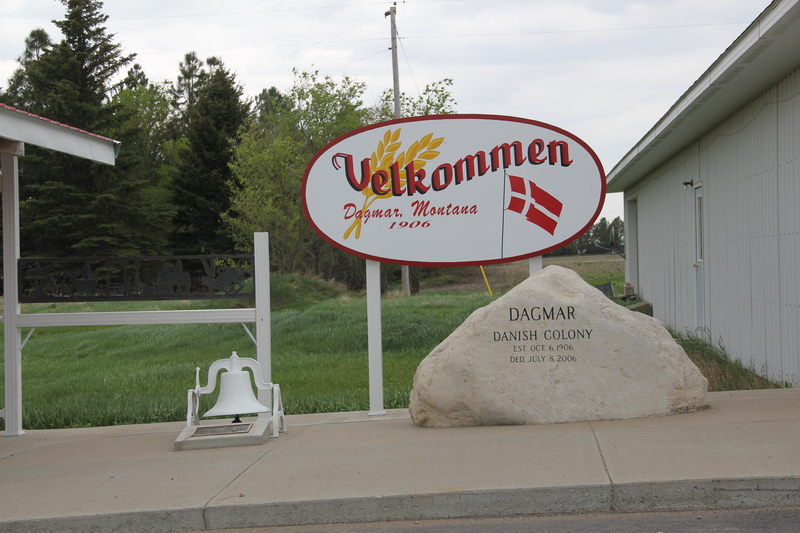 A little over 100 years ago, a group of Danish Americans, encouraged by success on the prairies of Minnesota, lured by the promise of cheap, effective railroad transportation, and wanting to establish a new community of Evangelical Lutheran believers, came to the northeastern corner of Montana and established a colony, named Dagmar, in honor of the Queen Dagmar of Denmark. 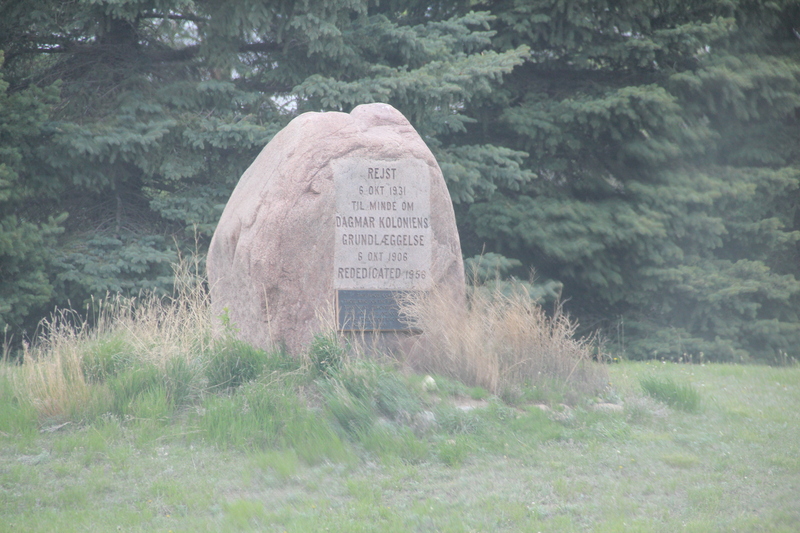 One of the colony’s leaders, Emil F. Madsen, proclaimed of the new land: we encountered “the most glorious sight. Below us lay a large lake [Medicine Lake] whose mirror-clear arms reached in over the prairie. North of the lake spread a level plain, gold painted by the sun.” While the colonists never established large towns, they did successfully farm the land and established a community that survives into the 21st century. 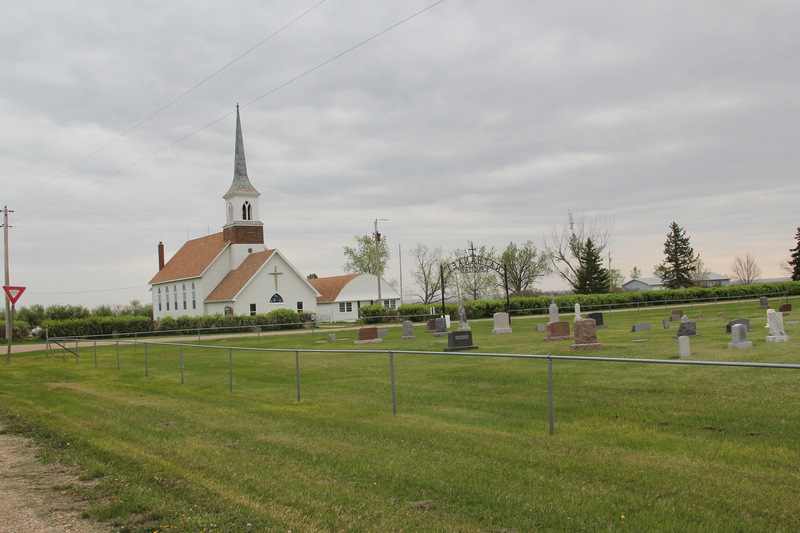 One of the best ways to explore the settlement landscape created by the colonists is to visit their churches. 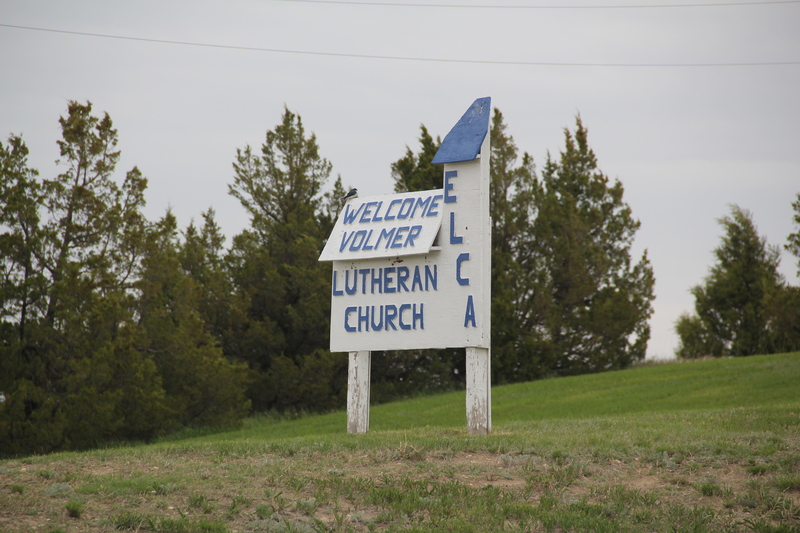 Volmer Lutheran Church stands on a rise that overlooks the county, pointing toward Medicine Lake. 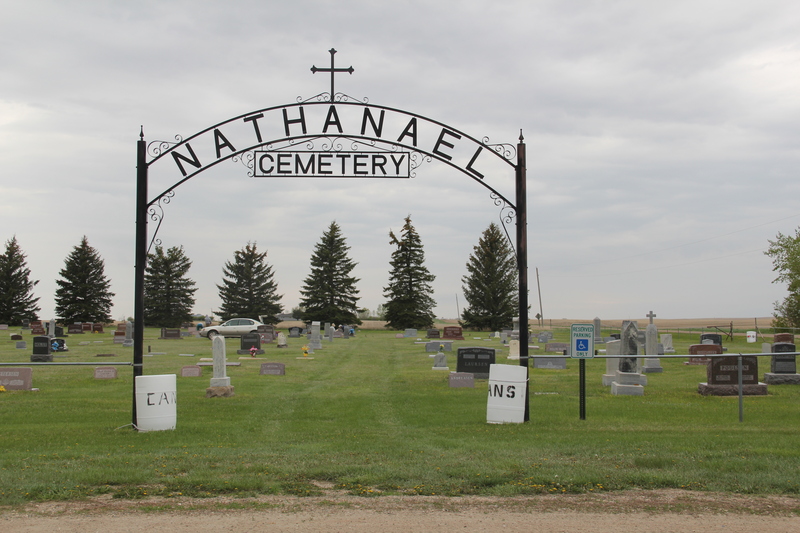 Another significant colony site is Nathanael Lutheran Church and Cemetery, where there is an early memorial marker. 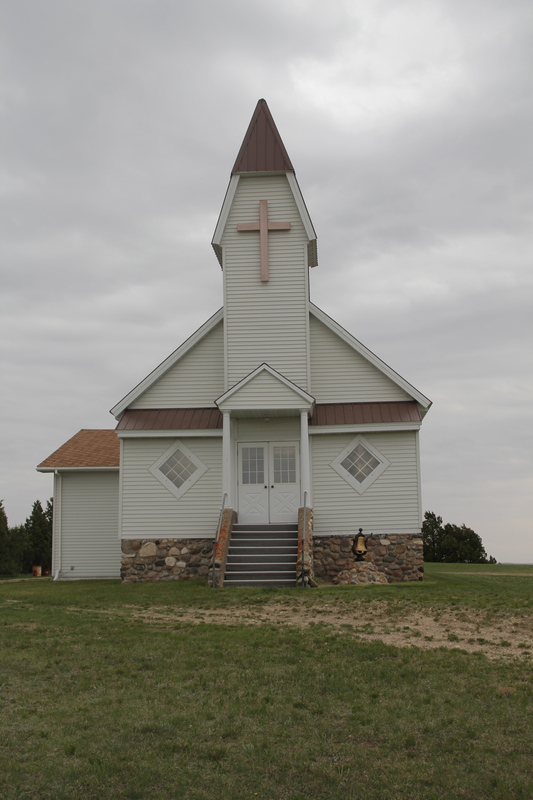 The church is an impressive Gothic design, with its tall tower and steeple serving as landmark visible for miles across the prairie. The vastness of the Montana’s northeastern prairies served as a refuge for different sacred and secular groups in the early 20th century. 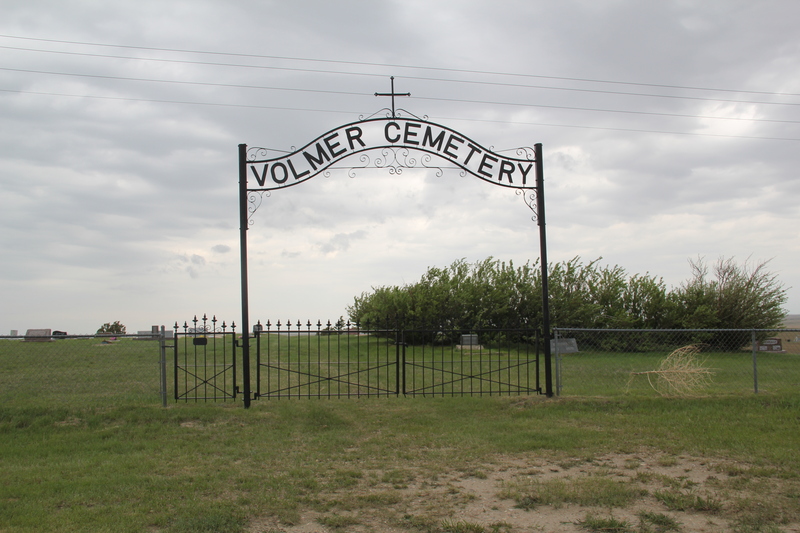 What may seem as isolated and foreboding today was a land of promise one hundred years ago, and the churches and scattered farms and ranches still mark the commitment of the Dagmar colonists to the land they made home.